When you’re hungry and need something quick, hummus comes to the rescue. A base of mashed chickpeas blended with tahini (sesame seed paste), garlic, olive oil, lemon and salt, it has long been enjoyed in the Middle East and North Africa. High in protein and fibre, chickpeas are a good source of magnesium, manganese and vitamin B6, while tahini is rich in zinc and antioxidant vitamin E, and garlic has high levels of sulphur, selenium and flavonoids. 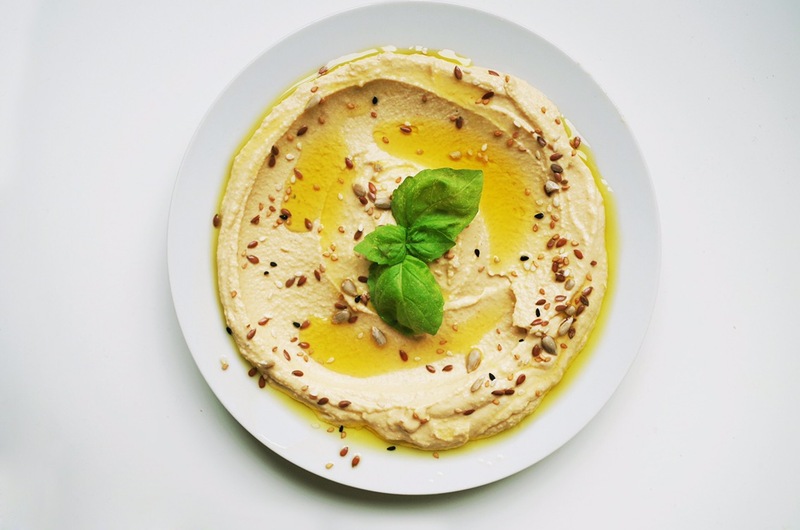 All these ingredients make hummus a super-healthy and filling snack, that protects against heart disease, decreases inflammation, and helps intestinal health. Are you into traditional chickpea hummus? Other pulses can be used: cannellini beans, butter beans and broad beans all make great hummus bases. Do you like your hummus creamy smooth or chunky coarse? For coarse, use the pulse function or blend with caution, stopping every now and then to make sure you still have lumpy bits. For creamy, just blend the hell out of it. What flavourings do you like? While I would consider garlic (fresh preferrably, or granules), cumin (either ground or freshly roasted) and lemon (to give a bit of depth) essential seasonings of a good hummus, smoked paprika, and other spices (ground coriander, garam masala, fennel,…) may also be added. Consider adding herbs like coriander or basil, rocket or even wild garlic. Here is a basic recipe, which will be super-tasty as it is, but which can be tweaked in whichever way you want – just get creative and listen to your needs. Blend together 1 tin of cooked chickpeas (drained and rinsed), 1 heaped tbsp tahini, 1/4 cup water (or you can use the reserved drained liquid from the tin), 2 tbsp olive oil, 1 tsp salt, 1/2 clove garlic, 1 tsp ground cumin, 1 tbsp lemon juice. 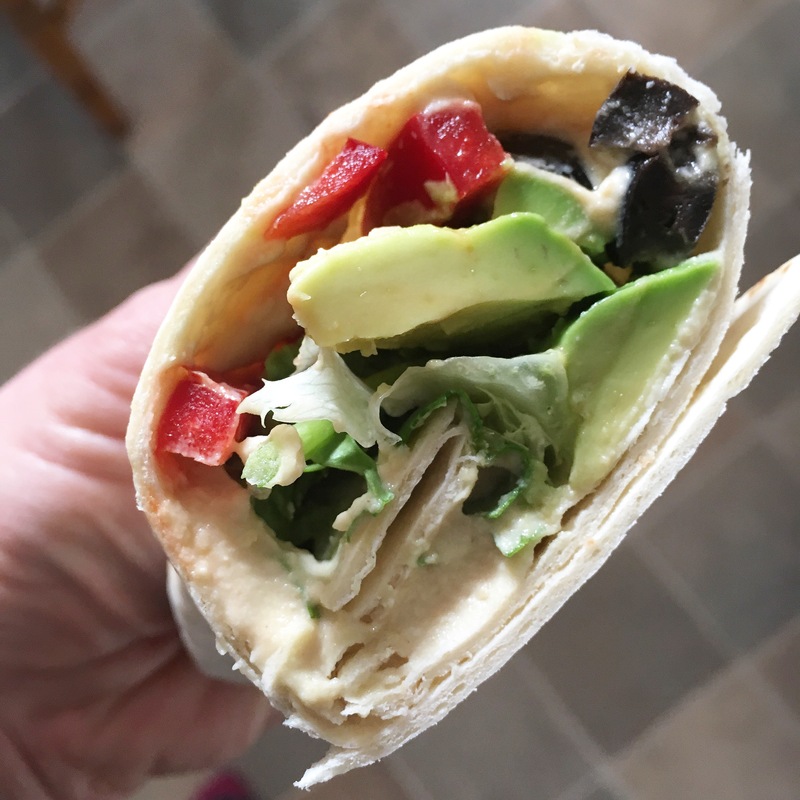 Eat as a dip with pitta bread, use as a spread on a wonderful wrap stuffed with avocado, red peppers and olives, or enjoy as one of the components of a scrummy Buddha bowl (delicious with falafel!). Your homemade hummus will keep for a week in the fridge. For beet hummus, add in one medium cooked beet (roast is best). For red pepper hummus, add in one skinned roast pepper. For avocado hummus, add in one ripe avocado. Share your favourite recipes with us by commenting below or tag us in your pictures on Instagram #edinburghbeetrootcafe, so we can see your creations.